Older models of GPS watches were bulky, impractical, and heavy, but today, you can get a GPS watch that’s about the same size as a normal sports watch, yet it’s packed with some impressive features that will not only provide you with incredibly accurate running data, but will actually help you improve your running abilities. Some of the features offered by the Garmin Forerunner 620 such as vertical oscillation and average ground contact time were metrics you could only get by going to a sports center lab and having technicians use fancy equipment to measure these things for you, if it was something you could even afford. But now, you can get that information with your running watch while you’re out on your morning run. Let’s take a look at some of the metrics that the Garmin Forerunner 620 measures that will help you run faster and shave time off of your run times. 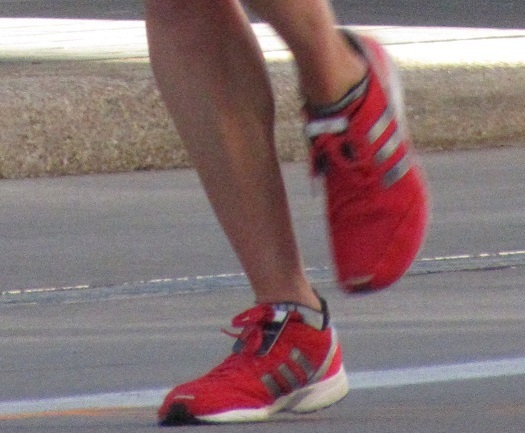 Ground contact time measures the amount of time your shoe is touching the ground during every stride. While your foot is on the ground, it is pushing into the ground and then off of the ground to spring you into your next stride. The faster your foot comes off the ground, the sooner you get to your next step. Although your average ground contact time may not seem like something that is super relevant, it has been noted that most of the elite runners have a shorter ground contact time, which means that it does make a difference in your overall running time. This is particularly important to racers. With the Garmin Forerunner 620, you can see where you stand with ground contact time and work on lowering that number as you train. Shaving a few milliseconds off of your ground contact time will make a bigger difference than you may realize. Since an average marathon takes between 35,000 and 45,000 strides, lowering your ground contact time by just 5 milliseconds will add up to 3 minutes and 45 seconds, which is probably more than enough to beat your personal best. Cadence can also be referred to as your stride rate. It measures how many strides you take per minute. 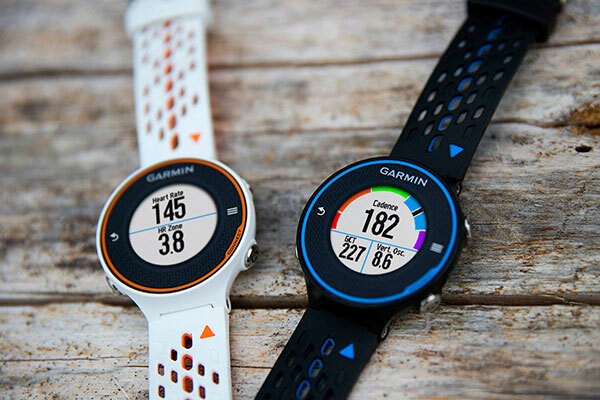 The previous Garmin Forerunner GPS watches were able to record your cadence with the help of a foot pod, but the Forerunner 620 has an accelerometer built into the watch and uses your arm movement as a way to count strides. Cadence is another metric that’s important to log because you need to be able to find a balance between taking long strides and fast strides. The optimum cadence measure is 180 strides per minute. Most runners will land somewhere between 150 to 200 strides per minute. When looking at your cadence data, you will be able to see if you need to work on extending your strides out some if the rate is too high, or moving more quickly if the number is too low. Another thing that cadence measure will help you keep track of is how your fatigue is effecting your stride rate, since you naturally will run more slowly when you are tired. With this data, you can come up with strategies to maintain a good stride rate even when you are tired. Vertical oscillation measures how much your body moves vertically during your run. Some runners tend to bounce themselves upward while they run, which wastes a lot of energy and doesn’t help you move forward. The most elite runners have a very low vertical oscillation which means they stay lower to the ground and can focus more energy on moving forward which means they get to the finish line faster. For the Forerunner 620 to measure vertical oscillation, you will need to connect it to a heart rate monitor strapped to your chest. This is because the chest strap stays close to your central mass, which gives a much more accurate measurement of how much your whole body is moving up and down as opposed to if the watch measured from your wrist. How Can These Measurements Make a Difference? Although knowing all of these metrics can be a lot of fun and interesting, if you don’t do anything with them, then there’s no way they can actually help you get better. The first thing you want to do is go on several runs like normal, and just collect the data. Don’t even think about what it all means until you’ve gone on 3 to 5 normal runs. This will give you a good baseline as to where you stand. The next step is to analyze the data and compare it to elite runners and the optimal number for each statistic. Then, it’s time to start changing the way you run. Pick just one thing to work on first. For example, your vertical oscillation. Then, go on several runs focusing only on keeping your body level. Think about the way your body is moving and focus on forward motion. Keep at it until you’re satisfied with the numbers and it becomes a habit. Then, you can focus on the other metrics and start thinking about the length of your strides and your ground contact time. By working on things one at a time, you will keep your training manageable and won’t feel overwhelmed with the number of things you want to change about your running form. You will also allow each thing to become a habit as you go, and you’ll eventually get to the point where you hardly have to think about how much you’re bouncing or how quickly you can get your foot off the ground and into the next stride. The most important thing to keep in mind is that nothing can magically make you into the best runner ever. It will take time for you to improve your form, and there’s nothing wrong with that. 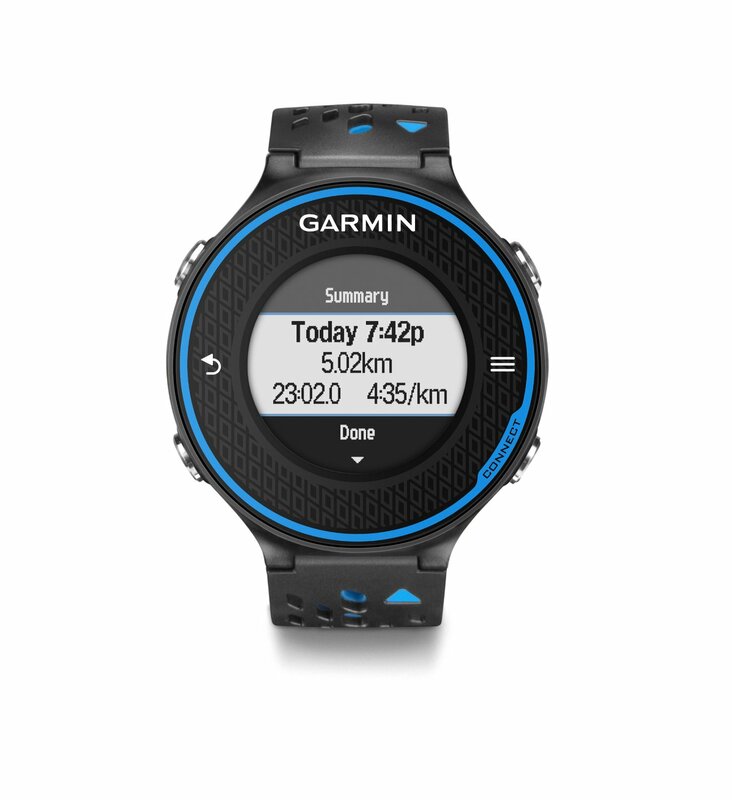 Although you will have to put in your fair share of the work, the Garmin Forerunner 620 is an invaluable training tool that can help you record data and show you where you are which will help you set realistic goals for yourself that you can reach. 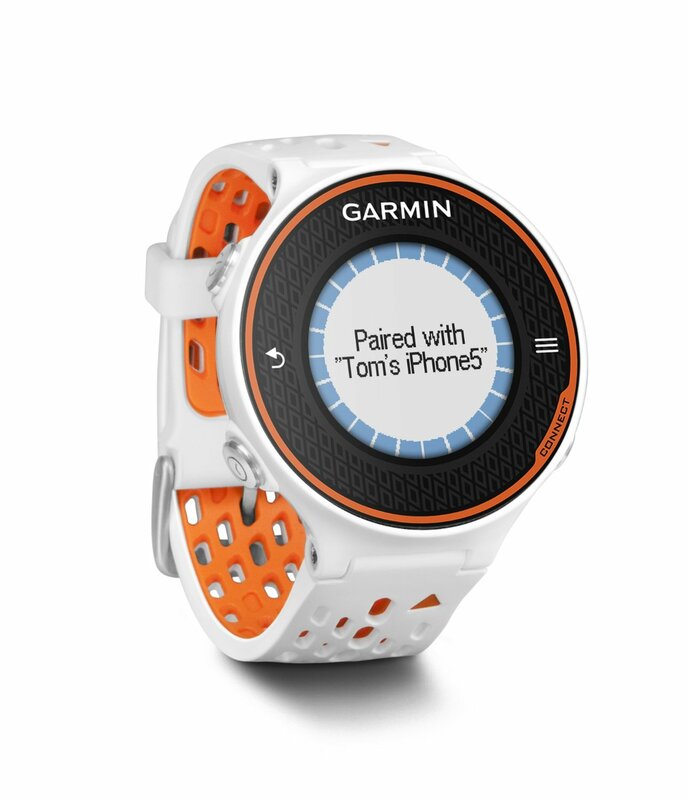 This entry was posted in Garmin GPS Running Watch and tagged Garmin Forerunner 620.